Get on this celebrity trend right now! Planning a beach vacation? You need these! 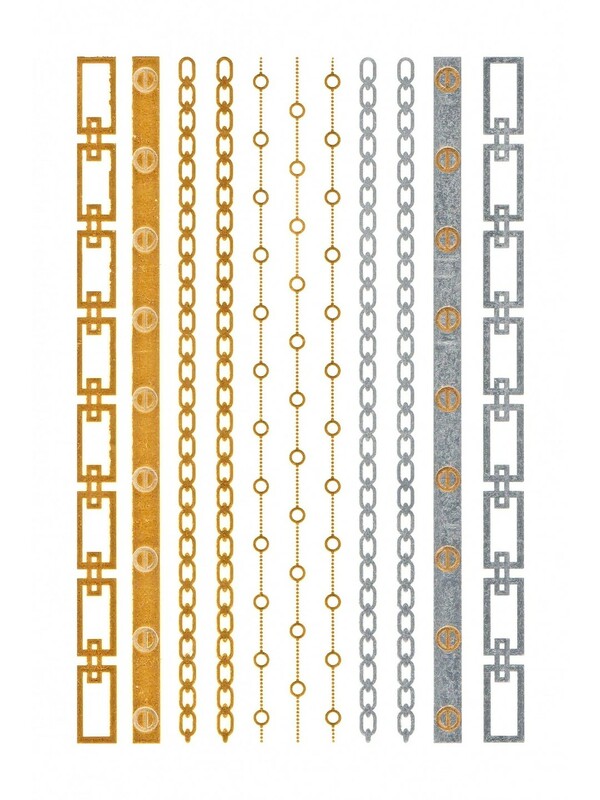 These gorgeous metallic temporary tattoos are the next best thing to real jewellery and absolutely my favourite to accessorize! 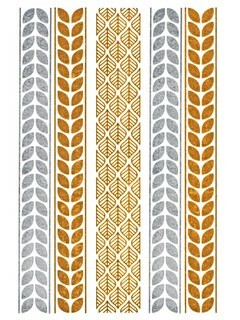 Easy to use and remove, these geometric patterns are for the inner boho in you! Accessorize with: A plunging swimsuit with a kimono cover up and open flats. 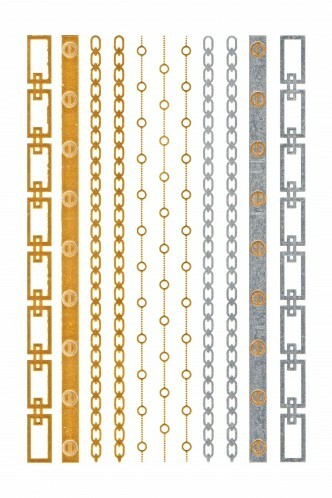 Place them on your wrists, arms or neckline, these glowing lines will make you stand out for sure. 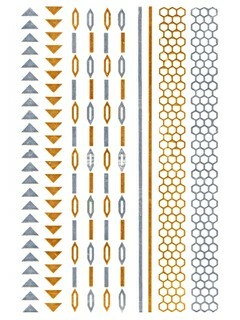 Pack of geometric pattern temporary tattoos in metallic shade. Cut the tattoo out of the pack as close as possible. Remove the clear sheet and place the tattoo on your skin face down. Wet the paper with a cloth or sponge and wait for 30Seconds. Carefully remove the paper to check if it has transferred. If not, wait a little longer. Make sure not to stretch or twist the skin till the tattoo has set. To remove, simply soak the tattoo with baby or olive oil for a few minutes and then rub off. Caution: Discontinue if irritation occurs. Do not apply directly on eye and on sensitive skin.